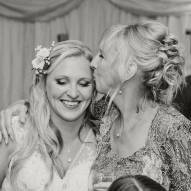 "Michelle recently did the hair and make up of my husbands mum, my two bridesmaids and myself (the bride!!) and I can not tell you how happy we all were with the results. I have ..."
"I first met Michelle when she did my make up when I was a bridemaid at a close friends wedding. 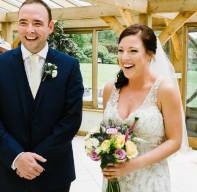 I thought she was so talented at what she did and such a lovely and bubbly person..."
Rebecca Jessup Very Happy Bride! 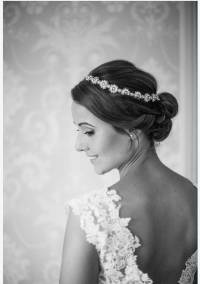 If you are a Bride looking for a hair and makeup artist for your big day I can help. My name is Michelle and I have been a Wedding Makeup Artist now for over 7 years adding Hair Artistry to my portfolio 3 years ago. 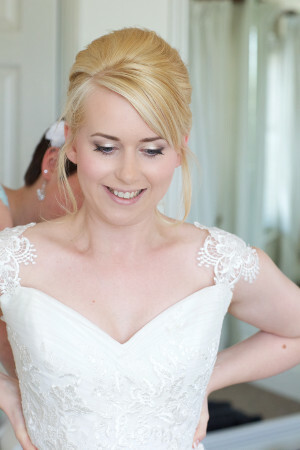 I offer Bridal wedding hair and makeup throughout Essex and surrounding counties. I can offer makeup & hair for the entire wedding party, coming to your chosen location to help you get ready, please look at my locations list here and venues below to check I cover your location. 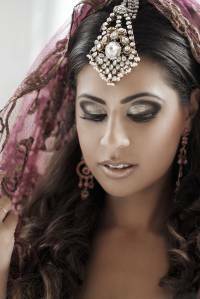 I cater for all skin types, tones, ages & wedding themes and know the tricks of the trade to give you that Hollywood glow that all Brides wish for on their wedding day. 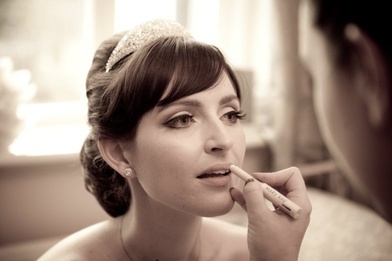 I always ensure I know all the latest make-up and hair trends and have the newest products in my kit to make sure you look your best on your special day. Having got married in 2011 myself I know how important it is to look and feel beautiful on your special day when all eyes are on you. I loved every minute of planning my wedding and I do all I can to help my brides enjoy it as much as I did from creating their look, to the trial experience all the way through to their wedding day I will help make the experience a relaxed and enjoyable experience. 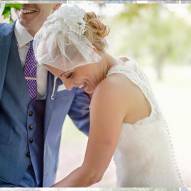 Having worked on hundreds of weddings over the years my brides can feel confident that they are in very good hands with me. 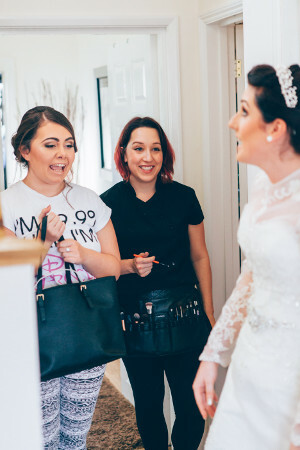 As my reviews show, my brides feel that they have another friend in the room with them, I bring both Hair & make-up expertise but I’m also there to hold their hand, keep them calm and get them to the alter on time. I love my job for the wonderful moments I am part of and the people I meet. I have shared below a few kind words that one of my brides sent me as I feel they portray better than I can what I can offer a potential bride who is choosing her hair and make-up artist. 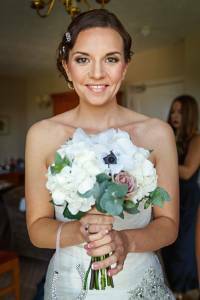 "Thank you SO SO much for all the hair and makeup you did for my wedding, you're so talented, and your advice was spot on and helped me make the most of my day! You kept a calm bubble around me while everyone else was rushing around, and made the whole experience getting ready chilled and enjoyable. You're multi skills of putting on garters, lacing dresses, keeping people calm and crowd management were impressive! You did an amazing job, thank you so much, you're a star!"" To see if your Wedding date is available please contact me on 07702 187 007, email me bumblebeebridal@outlook.com or use the contact form below. Please Note: Limited dates remaining for Summer 2018. By submitting this form you consent to me contacting you using the entered details, these details will not be passed on to any 3rd parties. Sorry, there was a problem sending your enquiry - please try again. Thank you for your enquiry - I will get back to you as soon as possible.